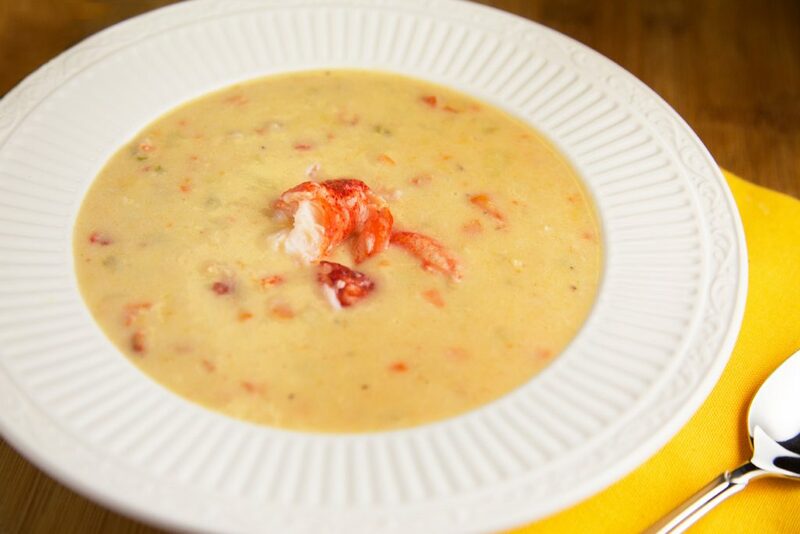 Lobster Chowder takes soup to a whole other level. 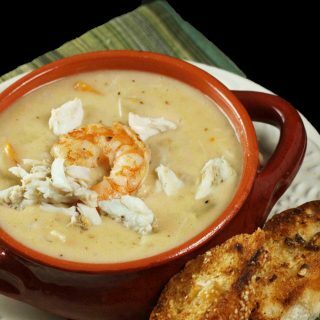 This delicious chowder can make a perfect light meal, add a salad and a loaf of crusty bread and enjoy. 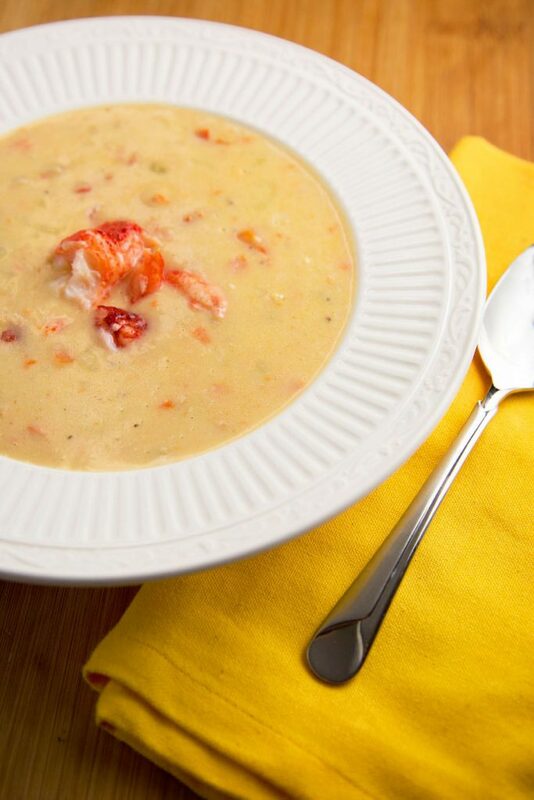 It doesn’t have to be winter to be soup season, especially when the soup you’re making (or eating) is Lobster Chowder. 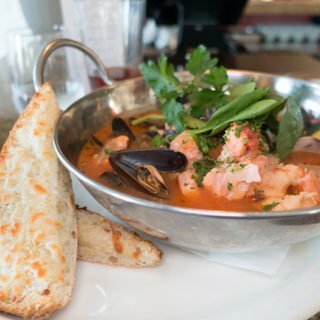 When Lisa and I go out to eat we’re always on the lookout for delicious starters and good homemade soups always fall into that category. When I first met Lisa many years ago she didn’t like lobster, she was a blue claw crab and beer girl. But I think a better way to put it would be she didn’t know just how good lobster could be. That first summer we met I introduced her to the Joys of Lobster and opened up a whole new world of culinary delights! Needless to say lobster is now a regular menu item and not just lobster tails. She loves lobster rolls, lobster salad, and of course lobster bisque. And thanks to my local Restaurant Depot, I can buy 2-pound packs of frozen lobster body and claw meat to make all the dishes that Lisa now loves! Of course, if you don’t have a Restaurant Depot you can shop at most Supermarkets carry 8 ounce to 1 pound packs of frozen lobster meat. Look in the frozen seafood area near the fresh seafood in your grocer. 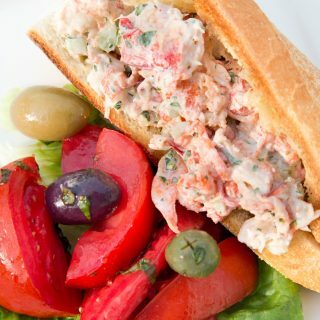 If you’d like to see more of my lobster meat recipes check out my Lobster Rolls, and Lobster Fra Diavalo Bianco. 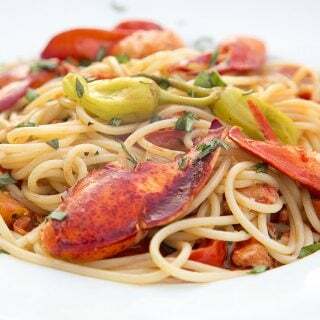 With any of my delicious lobster recipes, you can turn an ordinary day into an extra ordinary day! 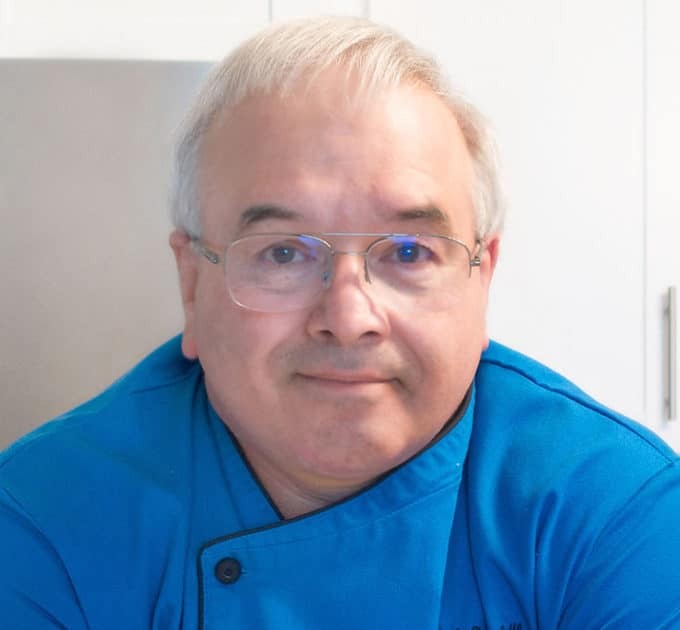 If you’ve tried my lobster chowder recipe or any other recipe on askchefdennis.com please don’t forget to rate the recipe and let me know where you found it in the comments below, I love hearing from you! You can also FOLLOW ME on Instagram @chefdenniseats and @chefdennistravels, Twitter and Facebook. soak lobster meat in milk while preparing soup until needed. add diced celery, carrots and onion. saute for 3-4 minutes then add flour and stir it all together. Reduce heat to low and allow to cook for about 5 minutes. Do not let this burn or darken! remove lobster meat from milk and set aside. Add milk to soup, mixing well. Can I just say this looks perfect! I am looking for some soup for tonight, it’s chilly, and this would be perfect. Do you think you could make this recipe in a crock pot? you can make it in a crock pot but I would add the lobster 30 minutes before you serve it. This looks GREAT! I loveeee soup and my husband is a huge lobster fan, (of course, so am I! 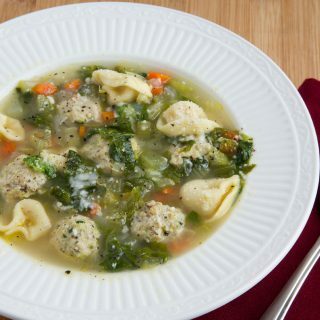 )- I pinned this and I can’t wait to make it, what’s better than soup this time of year? (Especially when you’re in NH like me and we get a foot of snow each day! )- Thanks for sharing! I hope this soup warms you up Stephanie, its getting crazy cold up north! I love everything about this soup especially the ease of this recipe. I can smell from here Chef! Thanks Claudia! WE do have to meet up one of these days, since were so close together.